Last spring, the Nest Secure finally picked up Assistant-based controls, letting you do things like arm/disarm, and check the status of your home security setup from your phone or Google Home. It would appear that was merely the first step in deeper Assistant integration following the merger of Nest with Google's hardware team. Starting today, your Nest Secure won't just accept commands from your Google Home, it'll start to behave like one itself. That's right, it's getting the Assistant. This marks the 2nd Nest product after the Cam IQ to pick up Assistant integration in an update, and if it behaves anything like that, your Nest Secure will effectively be a Google Home whenever you need it to be. We're explicitly told that means the expected functionality like Routines, reminders, and task management, but presumably, more mundane activities like music playback will be supported, too. However, we're told one feature is specifically not present, and that is the ability to disarm the Nest Secure itself via the newly baked-in Assistant. The functionality is coming to the Nest Guard — the slightly-smart-speaker-shaped hub and heart of the Nest Secure system — and not the bundled Nest Detect or Nest Tag. With its built-in keypad and tag-scanning functionality, odds are you've got it placed near your front door in an easily accessed spot. Starting today, you'll be able to use it for a whole lot more stuff, though we don't know when the rollout of this feature will be complete. Although the initial press release was light on details, a video published later yesterday reveals both the setup process and a key piece of information: this feature is disabled by default. To turn your Nest Guard into a smart speaker, you'll need to manually enable the additional functionality via the Nest and Google Assistant apps. 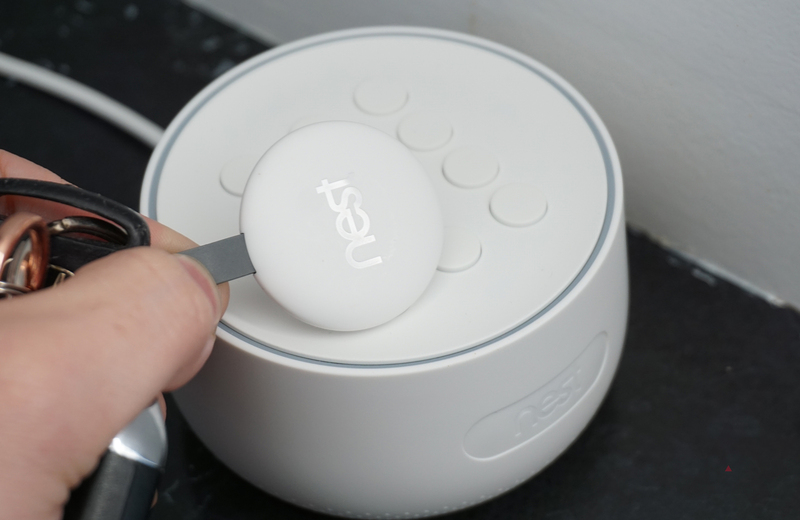 There are also a few tips and tricks at the end for how to integrate your Nest Guard into the Assistant's Routines, if you've never played with them before. Let’s face it: getting out the door can be hectic sometimes. Between rushing to beat the traffic, making sure you’re dressed for the weather and running through your to-do list, there’s a lot to juggle—and we could all use a little assistance in streamlining our routines. Starting today, we’re adding a feature to Nest Secure to do just that: the Google Assistant will be available on your Nest Guard, so you can ask it questions like, “Hey Google, do I need an umbrella today?” before you set your alarm and leave the house. Nest Guard is the brains of your Nest Secure; it contains a keypad and all the smarts that power the system. It’s usually placed in a spot with lots of traffic (like the front doorway) making it useful as you come and go. Here are some of the ways the Google Assistant on Nest Guard can help you plan your day and keep your home safe. Get real-time information. Ask for traffic, your flight status and weather before you leave for the day, so you’re prepared for what’s coming. We’ve built Nest Secure around you and the way you live. With the Google Assistant built in, your security system can be even more helpful. *Familiar face alerts require a Nest Aware subscription. Not available on Nest Hellos used in Illinois.